Limited geometry dimensions with free version? 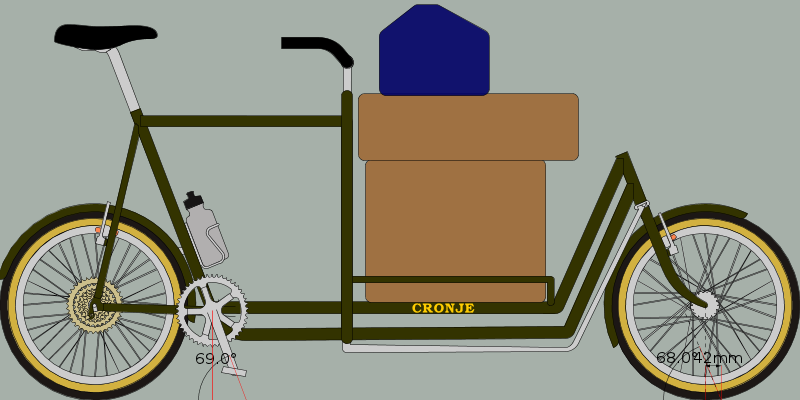 Am I able to design a cargo bike with two headtubes and an expanded downtube with the free version or do I need the CAD Pro? How can I add two headtubes? Although BikeCAD Pro has several extra features over the free version of BikeCAD, there are no limitations on creating or modifying geometry in the free version compared to BikeCAD Pro. There currently isn't a specific feature for adding a second head tube. However, that hasn't stopped some people from getting creative. If you search the Design Archive for cargo bikes. You'll find several that appear to have two head tubes. These are generally done by using the option to add a second set of seat stays in creative ways or by choosing the tandem option along with the option to add extra tubes.